Does cost really matter, in the end? Whenever anyone suggests that the cost of a design is important, I ask. “How much did the Eiffel Tower cost?” Their answers vary from the expected, “I don’t know.” To, “what does that have to do with what we are talking about?” Well, the Eiffel Tower defines one of the most beautiful cities in the world, it represents a country, and it is the first thing you see upon entering Paris. And by the way it is a ”folly” it does nothing! It has no function. 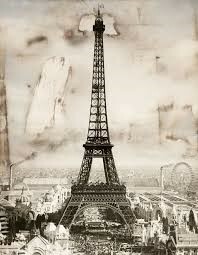 Eiffel Tower, a folly or landmark?